Ah, the Australian sunset. The reds, the pinks, the oranges—it’s the perfect blend of peacefulness and fiery intensity. And for this year’s Tour Down Under, we’ve brought these colors to life in a limited-edition collection featuring our Women’s Power Saddle with MIMIC and accompanying bar tape. For as long as thereve been saddles, women have been having issues with them. But where some see unsolvable problems, we see practical solutions. We spent countless hours performing research and prototyping in order to give you the comfort that youve been rightfully longing for. With our patented design, MIMIC technology makes numbness and pain disappear with a design that mimics the body’s response to different types of pressure to create equilibrium within soft tissue. And when you combine this technology with our Power Expert saddle, with its hollow titanium rails and Level II padding for extra comfort, you get a high-performance piece thats designed to help you perform at your best. It still features all of the Body Geometry design characteristics you know and love, so you can be assured of superior, all-day comfort in any ride position. 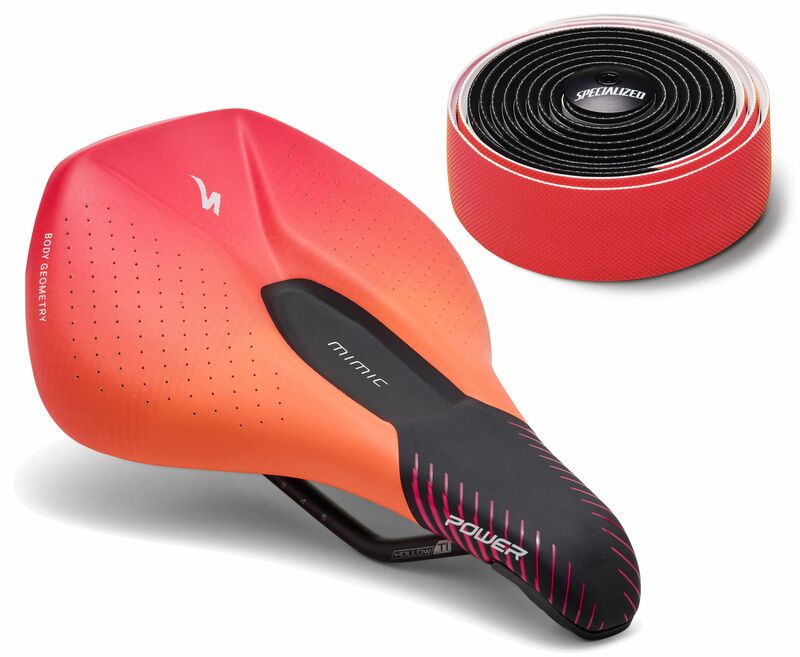 Please see below for delivery options for Specialized Womens Power Expert Tour Down Under Ltd Mimic Saddle.